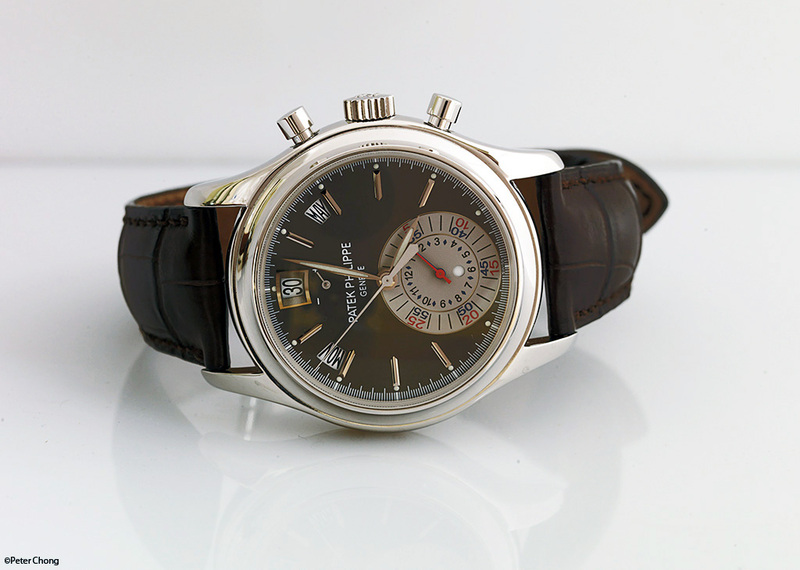 The Patek Philippe Annual Calendar Chronograph. Inhouse chronograph after years of using Lemania, PP decided on their own. I quite like the grey dial and platinum case. But remain ambivalent on the red markers on the dial. The case is quite beautiful. Activating of the chrono seems a bit on the hard stiff...this is not the light touch start/stop/reset of the Patek chronos of old...not like the 3970 which uses the Lemania ebauche which epitomises the smooth, light activation of the chronograph. The Lange Datograph chronograph activation feel is much more akin to the vintage Pateks...is way lighter, and smoother. Only managed to grab 2 shots of this watch. 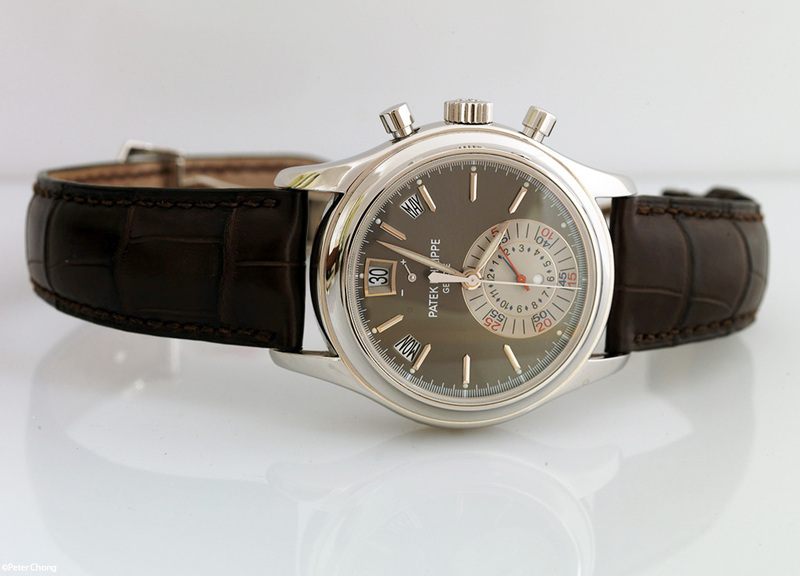 We were at my studio to shoot another watch, and I used my friend's 5960P as the standin for lighting.